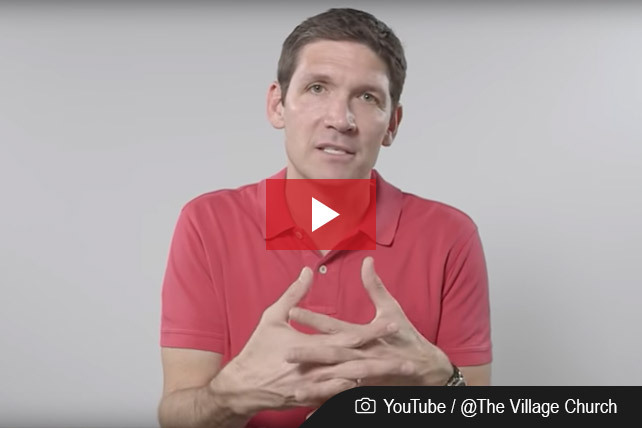 Growing up, Matt Chandler’s education primarily consisted of learning about “people that looked like [him].” Chandler, who describes himself as being from a “lower class, Anglo family,” says he realized he was seeing the world through a “lens” of white privilege. “Almost all my understanding of what made America great is because of efforts and the work ethic of people like me,” Chandler says in a video addressed to his congregation. Chandler, who is the pastor of The Village Church located in a suburb of the Dallas-Ft. Worth, Texas area, says he identifies with the cliche of “pulling yourself up by your bootstraps.” However, Chandler began to realize that he had grown up with an “invisible tool kit” of privilege that “a lot of brothers and sisters” don’t possess. Speaking plainly, he explains he’s talking about the controversial subject of white privilege and asks his viewers not to shut out his words. Nothing makes Anglos angrier than a conversation about white privilege, Chandler suggests. Chandler explains that white privilege is not overt racism. Rather, it is the experience of belonging to the predominant culture. In America, Chandler explains, we often gloss over the contributions of other ethnicities to the forming and building of our nation. We might study Black History in the month of February, for instance, but that is insufficient at best. He also gives the example of looking for a book for a child that features a main character that is his or her same ethnicity; it’s hard to find unless you’re white.